Just how much does it cost to raise a child? You’ve probably factored in the big things but we’re willing to bet all parents can relate to at least some of these money wasters that come with raising kids. I’ll be the first to admit that I am a terrible budgeter and couldn’t stick to a spreadsheet if my life depended on it. If you’re like me and your mind starts to wander when dealing with family finances, then here are two ways to keep on track with your money without spending a lot of time and effort on it. You don’t need to make an appointment or even make a call. All you need is Eccho me. Eccho me is a free app where you can ask any question you want in relation to finance, home loans, credit cards and interest rates and get answers from independent finance experts from the comfort of your lounge. Secondly, make sure you are actually budgeting right. This means that all of those impulsive things you buy need to be factored in. What random things, you may ask? Well, here are a few to get you started – do any of these ring true in your family? Breast pads, bibs and baby towels – and other various items to prevent milk spillage from your body and from your baby. Food that ends up on the floor – half of our weekly food shop ends up in the dog’s bowl or on the floor around the high chair. Anything that promises to help baby sleep – slings, swaddles, sleeping bags, swings, rockers, white noise makers, bouncers. I swear I tried every single item on the market. And all of them are now shoved in the back of my closet. Extra washing (and manual labour) – number threes equate to at least three extra loads a week. And the washing doesn’t end once they’re out of nappies. 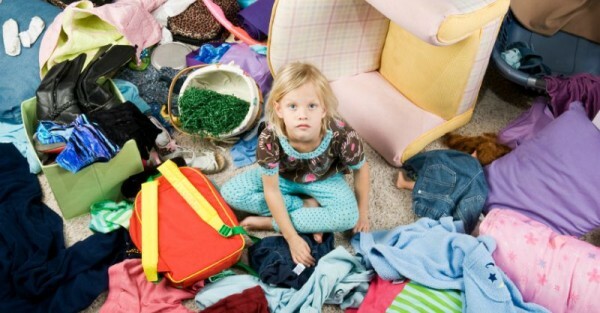 My toddler insists on changing her clothes 10 times a day (mostly swapping from princess dresses to bathers). And that’s on a good day. Hair elastics – where do they go? Bribery chocolate. We all have a weakness – mine are those horrifyingly expensive chocolate eggs. It comes out as second nature now – there’s no ‘surprise’ involved for anyone. Batteries – heaven forbid my children actually switch their toys to ‘off’ after playing with them. Apps – the free edition never quite seems to be enough. While you’re at the app store, check out Eccho me. It might be the smartest (and cheapest) download you’ll make this week. Library book fees – because for some reason my child cannot successfully carry a book from the library to our car without losing it. Felt pens – apparently it is impossible to put the lid back on a pen after using it. 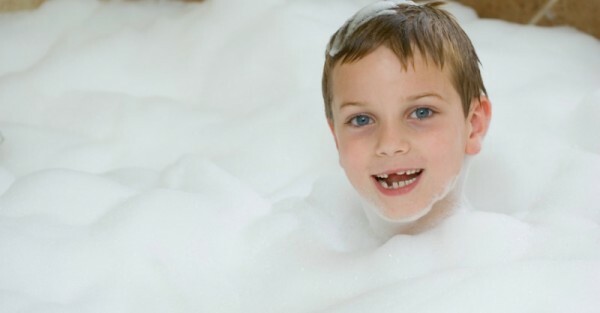 Bubble bath – it’s cheap, right? Not when your children insist on pouring the entire bottle into their bath each night when I look away for 15 milliseconds. Birthday presents – it seems like every weekend there’s a birthday. So we’re looking at around $25 per present, plus $5 for the card. Then, add an extra $25 each time for buying a second gift for the birthday boy or girl when my own child finds it, unwraps it and assumes it’s his. Socks – play centres alone cost around $10 to $15 per child per visit. Then add on an extra $3 per child (and for yourself) when you, once again, forgot to pack the socks. Parent’s survival food and beverages – coffee in the morning. Chocolate in the afternoon. Wine at night. Parents have a lot going on. Whether raising children or expecting a little one, it’s important to budget for it. Eccho me takes the pressure off having to add financial concerns to the list. Eccho me is an interactive app available in the iTunes and Google Play App Store that allows you to ask questions, speak to finance professionals, talk to others in the same financial situation, get better rates on interest and loans and start making better financial situations. So while you are downloading the latest skin for Minecraft (that’s an extra $1 per week FYI), do yourself a favour and look into Eccho me. It’s free. It’s simple. And it could save you thousands of dollars a year on finances.